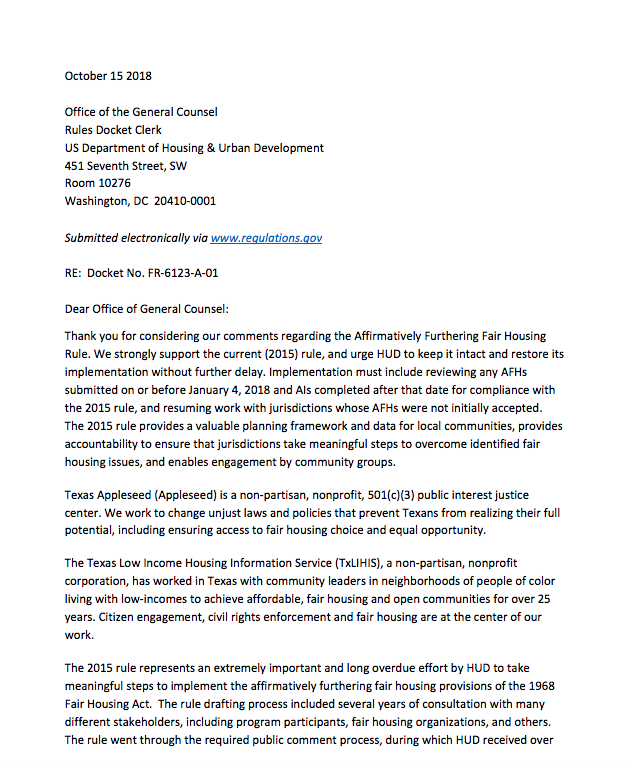 Read the Comments of Texas Housers and Texas Appleseed on HUD's attempt to roll back fair housing and get rid of the 2015 Affirmatively Furthering Fair Housing Rule that helps local cities and regions make informed plans to undo discriminatory housing, land use, and other policies and build inclusive communities with opportunity for all. 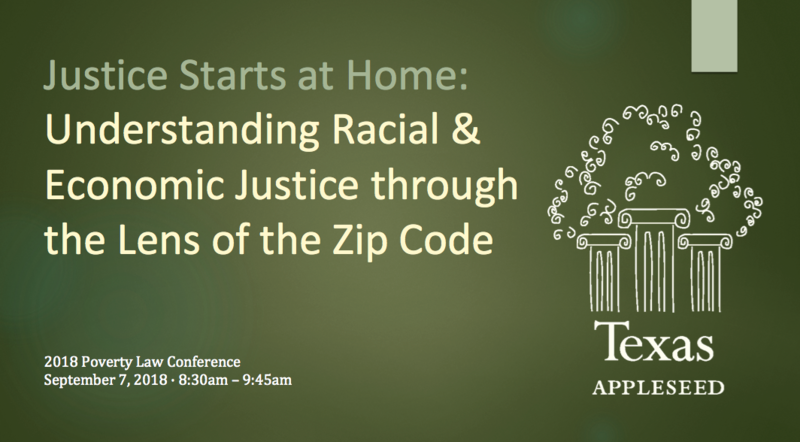 Opening Excerpt: Submitted by Mary Mergler, Texas Appleseed & Emily Gerrick, Texas Fair Defense Project. 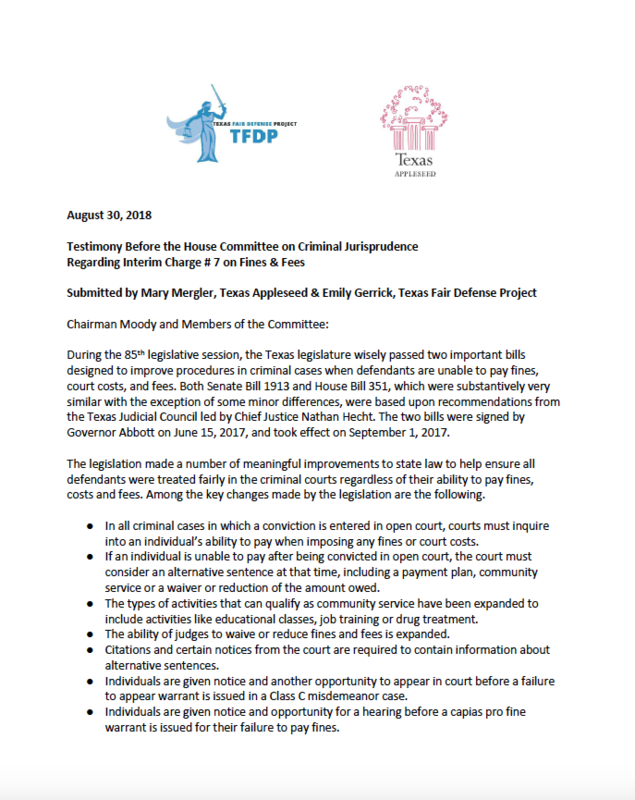 To: Chairman Moody and Members of the Committee: During the 85th legislative session, the Texas legislature wisely passed two important bills designed to improve procedures in criminal cases when defendants are unable to pay fines, court costs, and fees. 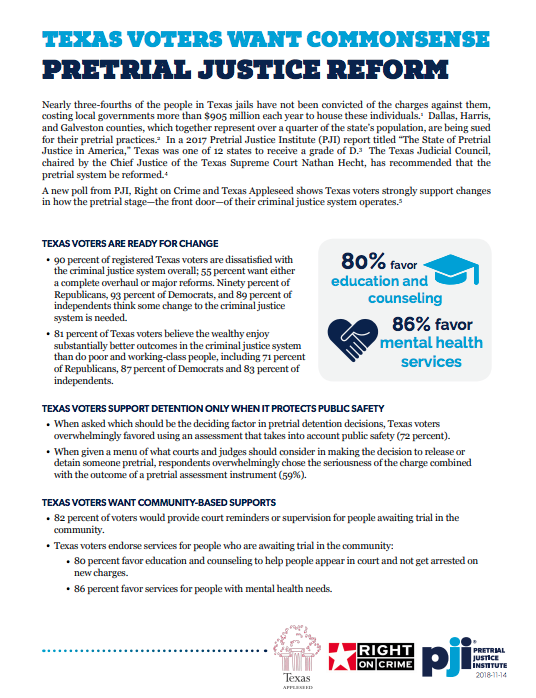 Both Senate Bill 1913 and House Bill 351, which were substantively very similar with the exception of some minor differences, were based upon recommendations from the Texas Judicial Council led by Chief Justice Nathan Hecht. 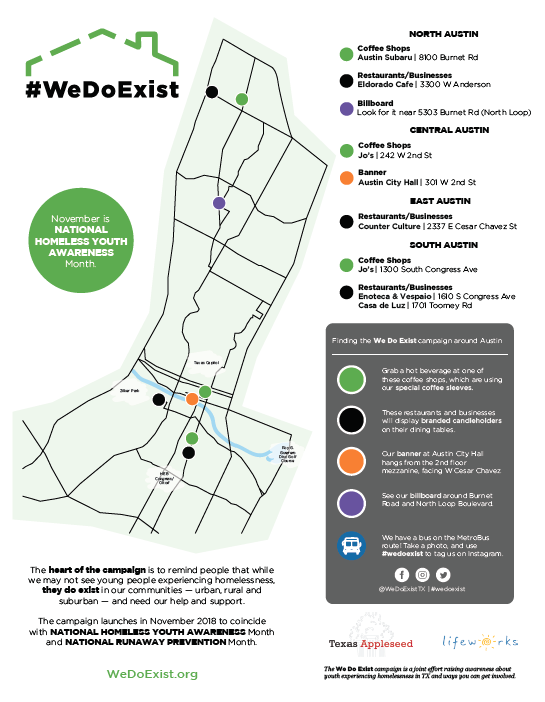 The two bills were signed by Governor Abbott on June 15, 2017, and took effect on September 1, 2017. The legislation made a number of meaningful improvements to state law to help ensure all defendants were treated fairly in the criminal courts regardless of their ability to pay fines, costs and fees. Among the key changes made by the legislation are the following.